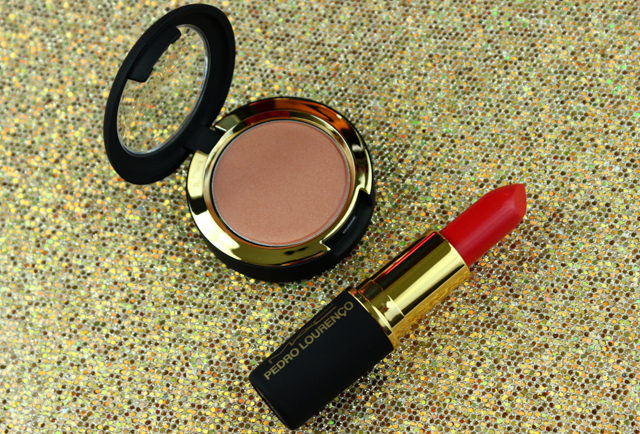 MAC's Pedro Lourenco collection exudes elegance and glamour. The collection is comprised of a mixture of saturated hues and soft neutrals which pair marvelously together. There is nothing I love more than a neutral-centric look complimented by a rich color pop. Perfection! The products are all encased in black velvet packaging that feels amazingly soft and luxurious. 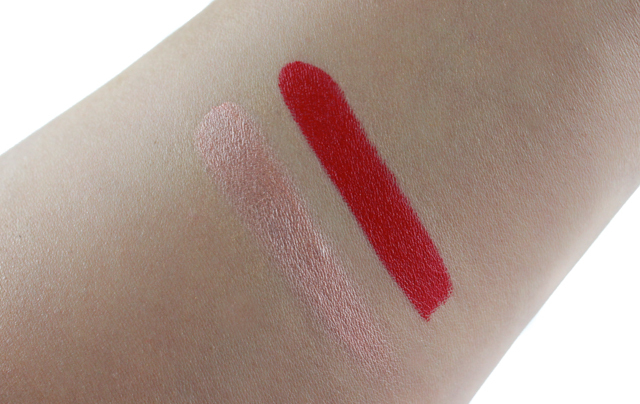 I picked up two bits from the collection that I am super excited about; a gorgeous luminous soft peach cream colour base, and a swoon-worthy vivid coral red lipstick that packs a huge punch in the color department. Hush Cream Colour Base ($22): I always hear amazing things about MAC's Cream Colour Bases, so I just had to try one out for myself. Cream Colour Bases make for a fabulous multipurpose product. They can be used on the face, and a number of them can even be used on the eyes and lips. I like to apply Hush (which is also part of MAC's permanent lineup) to the tops of my cheeks, bridge of the nose, and cupid's bow, for a subtle highlighted effect. Believe me when I say that this colour base is totally fool-proof. You literally can't mess up when applying Hush. No matter how much or how little you apply, the outcome will never look overdone or unnatural. I love how pleasant the formula is. 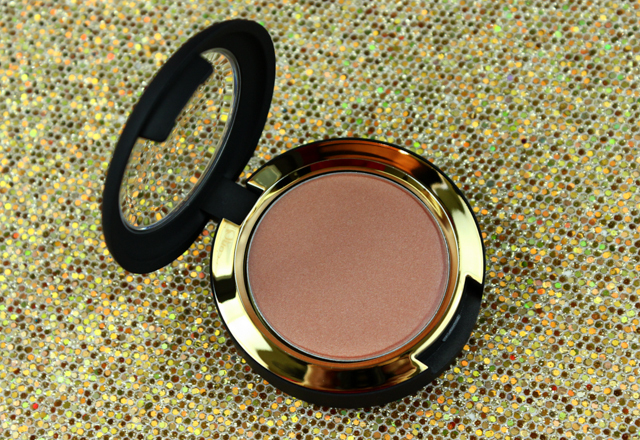 It's smooth, it blends effortlessly, it's long lasting, and it feels comfortable and light on the skin. I also like that the small shimmers in this aren't overbearing on the skin. True Red Lipstick ($17.50): I have quite a fair amount of red lipstick, but I don't believe I have a color like this one in my collection. I think True Red is the perfect summertime red lip color, thanks to it's vividness and the hint of coral it contains. True Red glides on the lips without tugging or enhancing dry areas, it feels lightweight on, and the color is very opaque. When it comes to lasting power, the color starts to fade a little at the 5 hour mark. It does leave behind a pretty stain, though. 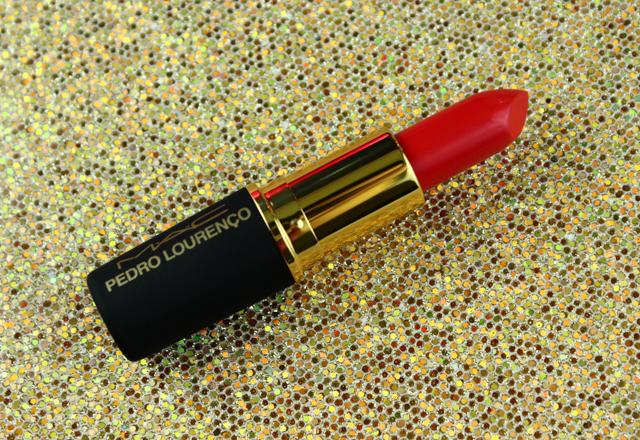 Did you pick up anything from MAC's Pedro Lourenco collection? Oh wow, that shade Hush is sooo pretty! I'd totally want to use it as a blush maybe for my light complexion? Great stuff! That red is stunning! Hush is gorgeous. I am so glad I gave it a try! I really want to pick Hush up! I got Hush and the Corol blush. Love both! So glad you are loving Hush, Melissa! 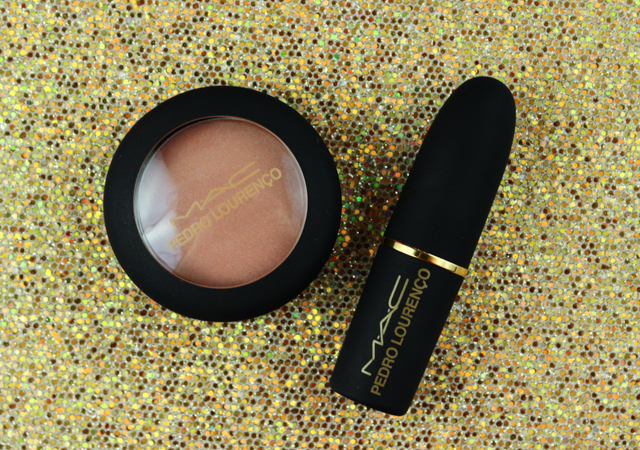 It's such a gorgeous highlighter!